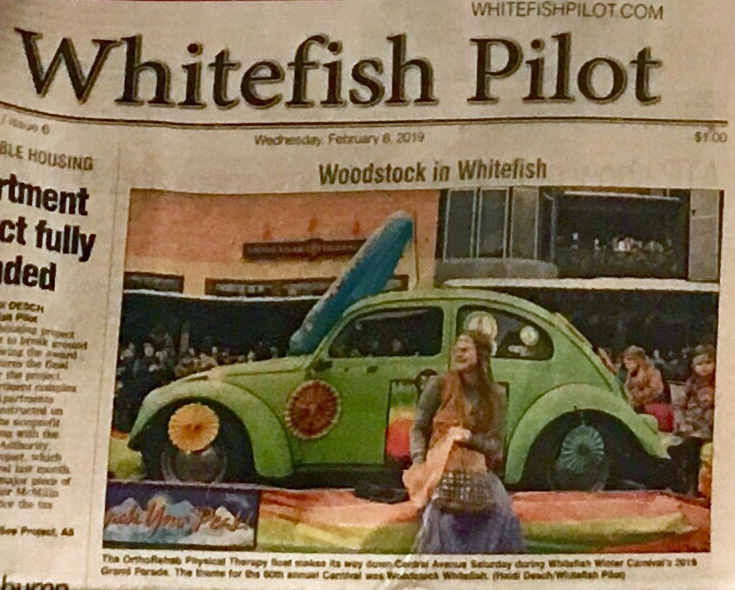 Our Whitefish OrthoRehab clinic got in the groovy Woodstock themed 60th Annual Whitefish Winter Carnival spirit with their awesome float featuring a lime green vintage VW Bug! 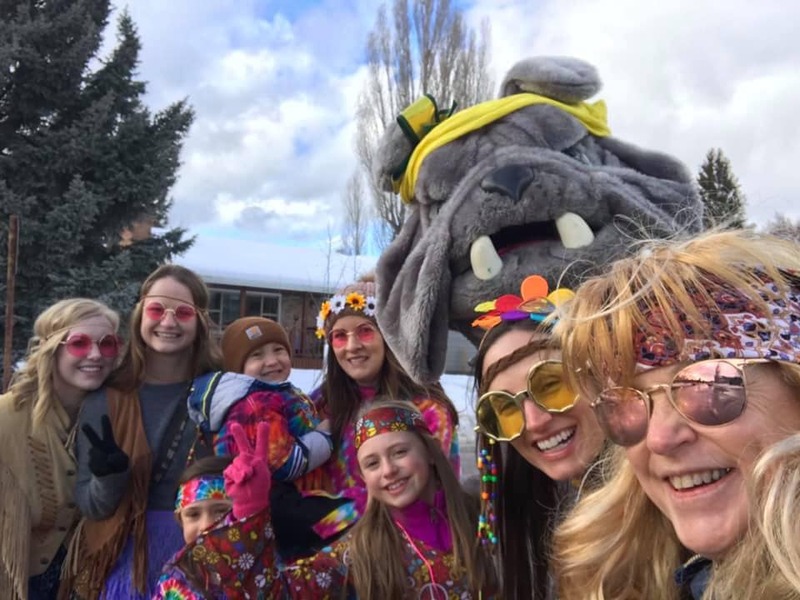 Amy Fischer, Andrea Breuer, Staci Yearsley, Stephanie Brinkman, and our U of M PT student Shelby Erdahl, channeled their inner hippie and escorted their “Peace Love Physical Therapy” float down Central Avenue to the cheering crowds. 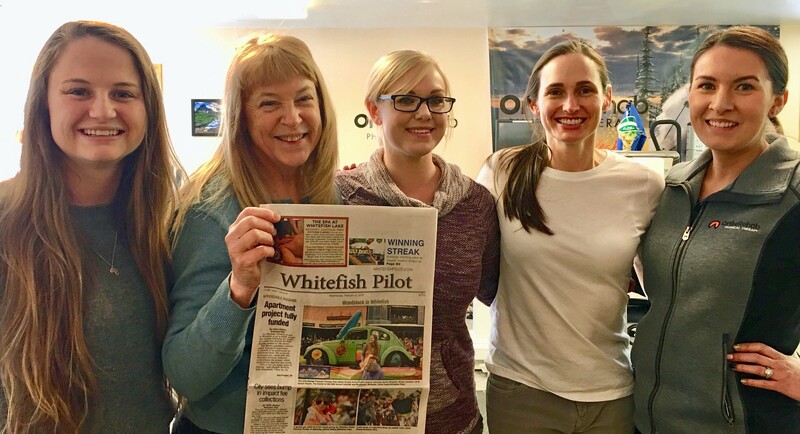 OrthoRehab even won “Best Classic Car” division of the parade and made the front page of the Whitefish Pilot!